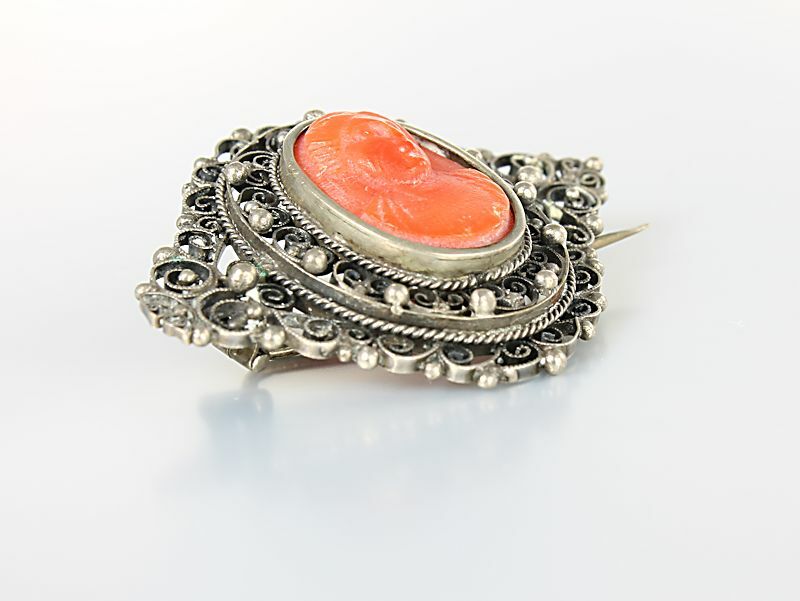 Beautiful antique red coral and silver cannetille cameo brooch in excellent vintage condition. 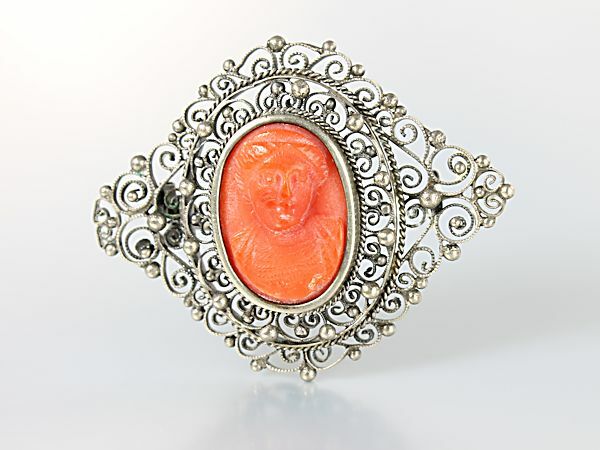 Cameo measures 1 3/16 inches by 1/2 inch and features the beautiful face of a woman with a hairdo representative of the Georgian era. Brooch is not marked but it is made of silver (grade unknown) which has been tested with acid. Coral has natural imperfections and aslo shows some wear due to age. 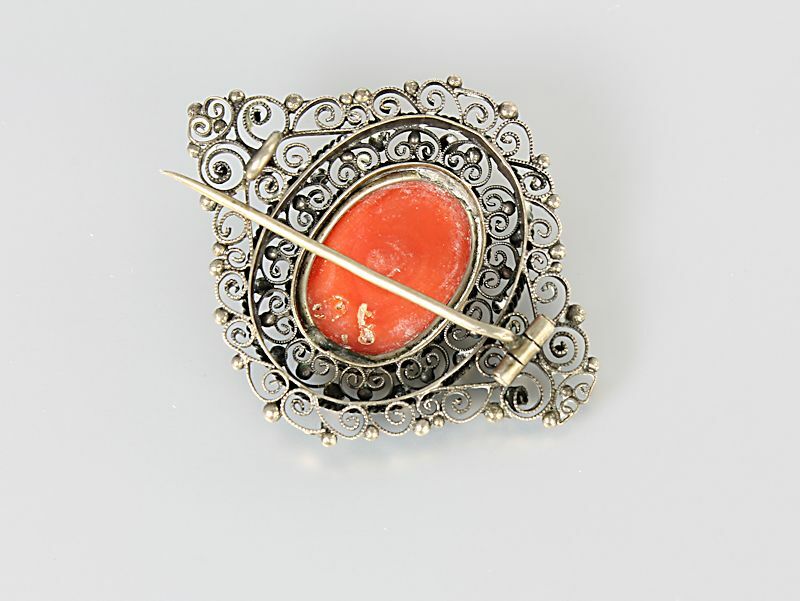 Brooch measures 1 5/8 inches by 1 1/4 inches and has a C clasp with a long bar pin and a tube hinge. A couple of silver beads are missing but I believe they were never soldered on. Late 1800s.